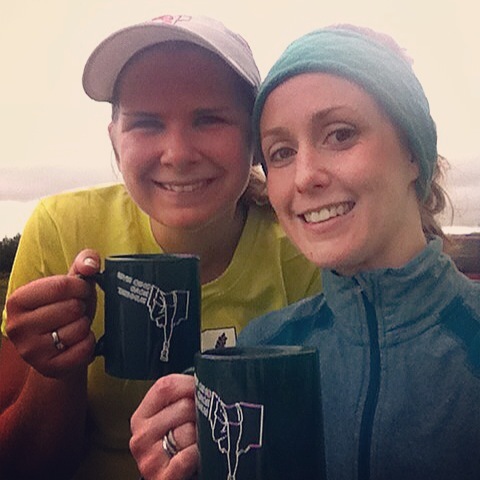 Stillwater 7 Mile Trail Run | I Can Run, So I Will! What a fantastic run! I find it hard to pass up any trail race that I get free entry being a member of the Ohio River Road Runner Club. This race had mentioned that there were river crossings on a loop course. The only river crossing I have done was on stepping stones- I was intrigued. I started asking around about what running was like with completely soaked shoes and socks. The answer I got was: wear wool socks. Sweet, this wool sock addicts’ got that covered! Sign me up! Race day was quite blustery. As gusty winds burned my patches of bare skin, all I could think about was the river. Race started and when that river came I jumped right in and through. The water up past my ankles soaking my feet all at once. Yep, it was cold. For a moment. Then it was refreshing! My feet were a bit heavy for about a quarter mile out after but quickly drained and though my feet were still wet I felt no discomfort. I’m not sure if it was the wool socks that kept my feet in good shape, but I’m happy not needing to test that out. Crossed that river four times on the course and crossed the finish line at 1:16:41. And scored a sweet mug!